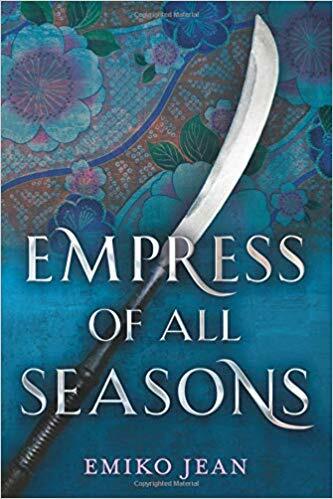 Empress of All Seasons, by Emiko Jean, is one of the hardest books I’ve read in a long time, and that’s not a bad thing. Truth be told, I read Empress of All Seasons in 2018. I read it way before the publication date but it got lost in the clutter as I worked toward closing out my mom’s estate. That does not mean I forgot it, though. Empress of All Seasons sticks with you — Mari’s unrelenting mother, the brutal nature of the competition, the complexity of each room, and Mari’s sheer will all take hold. And then there is Emiko Jean’s writing; sophisticated and rich bringing to the fore foreign words and ideas that push you beyond the expected. I said at the beginning that Empress of All Seasons is a challenging read. There were times when I had to put it down — even though I did not want to — in order to digest what I had just consumed. This is the mark of an excellent writer. Kudos to Emiko for following her heart instead of a formula.